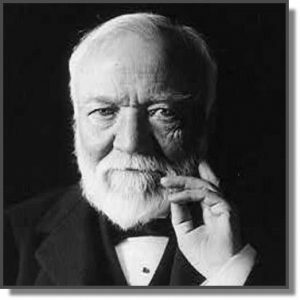 If asked on a game show or in some artsy version of Trivial Pursuit to connect industrialist Andrew Carnegie with music, most of us would answer “Carnegie Hall.” As it happens, New York’s famed concert venue is only one performance space made possible by Andrew Carnegie’s sense of noblesse oblige. Carnegie’s home of Pittsburgh and its suburb of Homestead, Pennsylvania also have concert halls bearing his name, as does Lewisburg, West Virginia and Dunfermline, Scotland, his birthplace. Dumfermline is also the home of the Carnegie UK Trust, one of the many charitable organizations enabled by Carnegie’s largess. Established in 1913 to improve “the well-being of the masses of the people of Great Britain and Ireland,” the Trust is another important link between the steel and railroad billionaire and music, a link of particular interest to Christians who care about stewarding the great legacy of sacred choral music. In the 1920s, the Trust supported a massive project of scholarship and publishing that transformed the musical life of the U.K. and of many individuals and communities far abroad. That project was the publication of a ten-volume collected edition of music by the great Tudor-era composers. Between 1922 and 1929, Oxford University Press released the complete edition of Tudor Church Music, and also made available performing editions of the music for purchase by choirs. Most of this music had until then been unavailable in modern editions, which meant that, unless one had access to scores hand-copied from manuscripts preserved in libraries, singing or hearing this music was impossible. Thanks to Andrew Carnegie’s generosity, this forgotten music was recovered and made widely available for churches and college choirs. Today, nearly a century after Carnegie’s death, this music is still part of the standard repertoire for many churches. 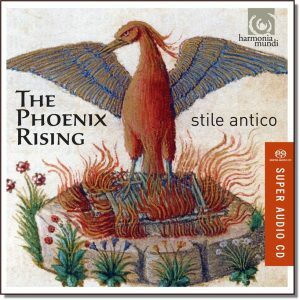 The Phoenix Rising is the title of a 2013 CD that features some of the most notable gems revived in Tudor Church Music. The disc is the eighth release by the young choral ensemble Stile Antico; all of their recordings have featured sacred choral music from the late sixteenth and early seventeenth centuries, much of it by English composers and all of it richly rewarding. This repertoire is often dubbed “early music,” a distant and exotic phenomenon, of interest only to very specialized ears. I like to think of it as music from before the Enlightenment, music from an era in which the Christian account of nature and supernature was quietly assumed rather than nervously defended. It was a time when imaginations were attuned to notions of cosmic order, not defiantly assertive in the face of cosmic chaos. As a twenty-first century Christian, I am more confident that this is “our music” than I am about the “late music” (some of it too late) of our own era. Space prevents me from introducing the pieces by Orlando Gibbons, Thomas Morley, Robert White, and John Taverner also beautifully sung by Stile Antico on this instructively programed and elegantly packaged disc (all of their previous recordings are similarly thoughtful and compelling). Taken together, this anthology of ten glorious works is a splendid introduction to the legacy of sacred choral music from a tempestuous time in English political and religious life, a time nonetheless rich in the cultivation of the art of prayerful song.